Magritte studied at the Académie des Beaux-Arts in Brussels during the First World War. Just as Andy Warhol would do in the 1950s, he began his career designing wallpaper and fashion advertisements, before befriending the poets and writers who would form the Belgian Surrealist movement. Under the influence of De Chirico, he started looking for ways of creating a poetic, disturbing atmosphere in his work. By depicting recognisable objects in alien settings, using inversions of scale and creating bizarre juxtapositions, Magritte created a surrealist language which was very much his own. Following his first one-man exhibition at the Galerie Le Centaure, Brussels, 1927, he moved to Paris, where he met Miró, Arp, Tanguy, Dali, Buñuel, Eluard and Breton. In 1930 he returned to Brussels, where he was to spend the rest of his life. 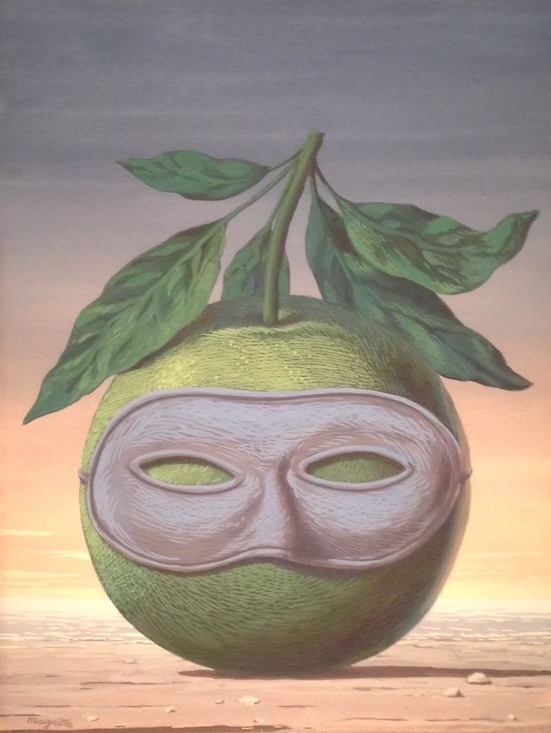 Magritte’s early Surrealist work shows the heavy influence of De Chirico. His dark, brooding palette, and muted compositions are conventionally Surrealist, and rely on confusing distortions of perspective and bizarre subject matter to achieve his surrealist vision. He soon developed a repertoire of iconic motifs, by depicting the obvious and everyday placed completely out of context. Subtle distortions and confusing alterations to daily objects became his hallmark, and he capitalized on their impact by re-using these motifs throughout his career. A cycle of murals called “The Enchanted Domain” was painted from his designs in the Casino at Knokke in 1951-3. These murals formed a retrospective of his work, with familiar Magritte motifs combined in seven large-scale works. At this time, and throughout his later career, he also began to produce a series of gouaches. These re-workings of earlier paintings, on a small and precious format, seemed to suit Magritte. The smooth, easily manipulated medium suited his style, and a sense of the artist’s enjoyment is clearly evident in these later works. 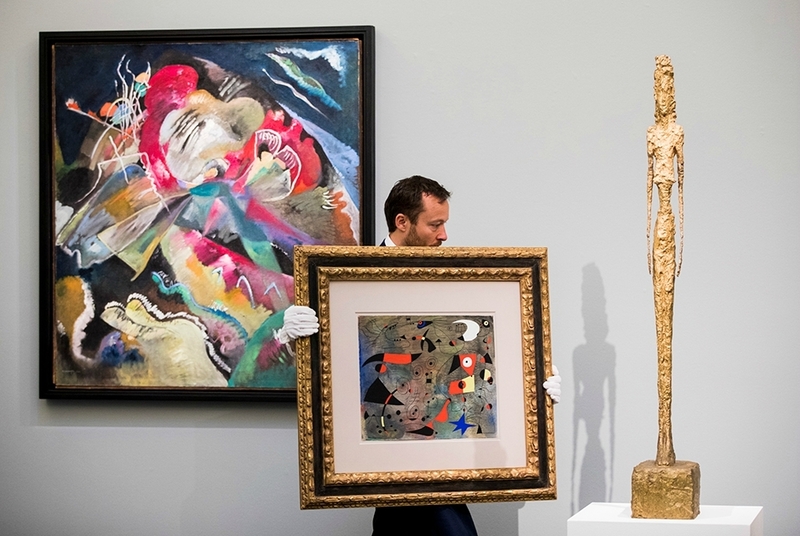 Buoyed by its own separate auction category, Surrealist Art has been enjoying a surge in commercial popularity for sometime. Whilst the category has boosted the market for many of the lesser known artists of the movement, it has also served to establish Magritte as Surrealism’s most popular artist. His easily recognisable, iconic imagery and his manipulation of everyday objects has a playful manner, and a universal appeal. Traditionally it was the earlier works from the prime years of the Surrealist movement, which attracted the stronger prices. However, whilst these rare earlier works still command huge prices, the market has become increasingly image-driven; his late works, often simplified renderings of earlier compositions, are growing in popularity, and leading the vibrant market. Clouds, apples, nudes and Bowler-hatted businessmen form his most recognisable imagery and command the highest prices. 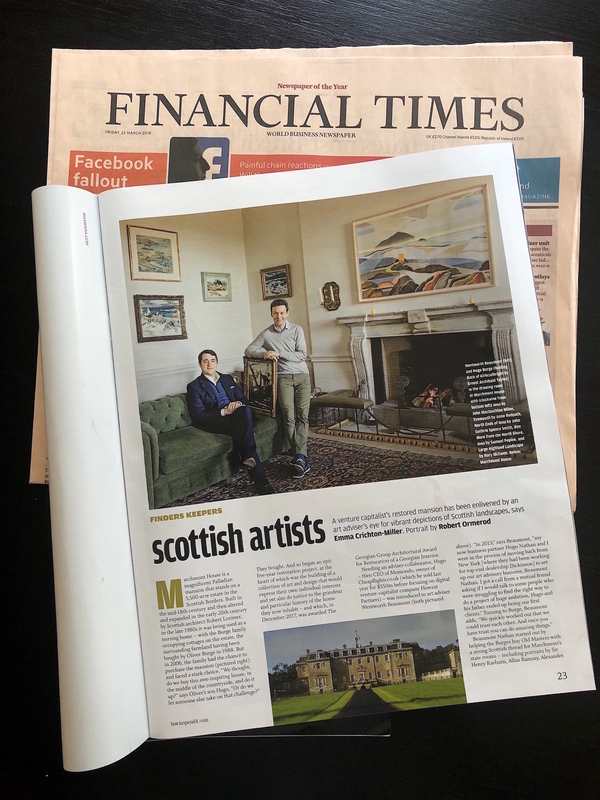 The top price at auction of £7,922,500 was achieved in February 2014, and this February, buoyed by a strong group coming to market, a gouache broke through the $4,000,000 mark. The Magritte Museum houses the largest collection of Magritte’s work in the world. It is situated at 1 Place Royale, Brussels, and is operated as a subsidiary of the Royal Museums of Fine Arts Belgium.